Notes listed include include apricot, saffron, pink pepper, jasmine, rose, oud, leather, moss, vanilla and vetiver. Launched in 2016. The opening of Agarwood Noir reminds me of osmanthus. It’s fruity apricots and an indolic jasmine. For lack of a better word, I’d describe it as “chewy”. It’s like fruit leather and a huge jasmine. I pick up on something that reminds me of patchouli (not listed as a note) and leather. Eventually the jasmine dries down and reminds me more of jasmine tea than a huge bouquet. It dries down to a peachy suede with vanilla. It’s dusted with spice and a slightly funky, animalic oud. This is one of those perfumes that doesn’t sound that intriguing but it is an intriguing one to wear. It really does magical things on my skin and I hate to say it, it gets me compliments. It projects and it’s one that smells feminine but not in a stereotypical way. Give it a try if you like perfumes like Mugler Les Exceptions Woodissime, Naomi Goodsir Cuir Velours and/or Guerlain Songe d’un Bois d’Été. Projection and longevity is above average. Victoria’s Final EauPINION – Apricot jasmine. If I cared about compliments, I’d probably buy this. This is just one of those that “works” on me. Notes listed include pepper, saffron, osmanthus, apricot, dianthus, oud, olibanum, plum, suede, Turkish rose, ebony wood, tobacco, amber, vanilla, orchid and musk. Oud After Dark opens as dry spices and apricot preserve. The leather in this one is sharper, more like birch tar, and on my skin more prominent than in comparison to Agarwood Noir. The leather-saffron in this reminds me of perfumes like Tom Ford Tuscan Leather or the brand’s own Safran Rare. Oh, hello, there. There’s a nice juicy plum that makes me think of stuff like Serge Lutens Boxeuses and Bois et Fruits. The heart has a spiced, peppery rose. It dries down to something slightly smoky and “dark”. It’s like tobacco, woods, leather and musk. Give it a try if you like perfumes like Tom Ford Tuscan Leather, MAC Ruby Woo, Byredo Black Saffron and/or Montale Aoud Leather. Projection is average. Longevity is above average. Victoria’s Final EauPINION – Fruity leather and spice. It’s like a mash-up of stone fruits, saffron and leather. Both perfumes are elegant but easy to wear oriental-style fragrances. In summary, both have stone fruits, but Agarwood Noir is much more floral while Oud After Dark is more leather. 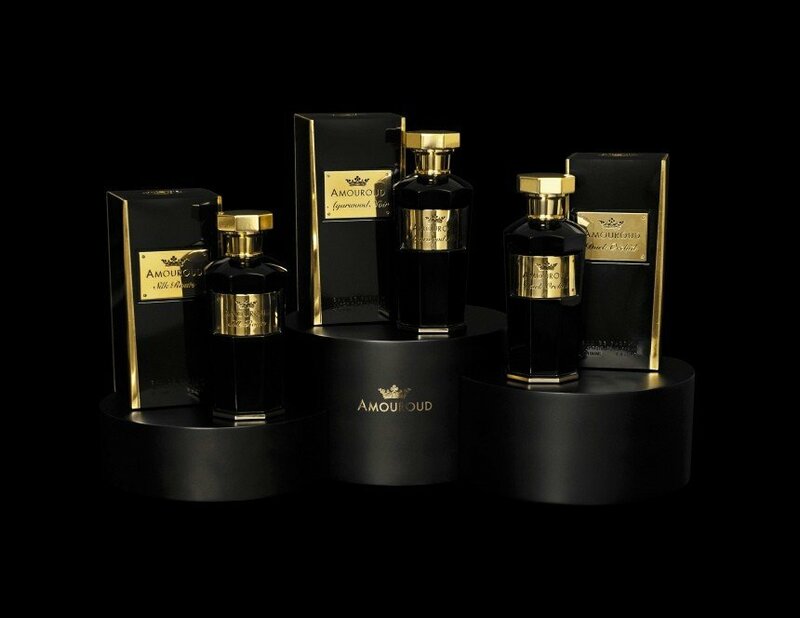 The 3.4 oz bottles of Amouroud perfumes retails for $200 at Osswald. Samples are also available for purchase. ¹I hope you know by now not to trust a note list. *Disclaimer – Samples provided by the brand. I am not financially compensated for my reviews. My opinions are my own. Product pic from Parfumo.com. 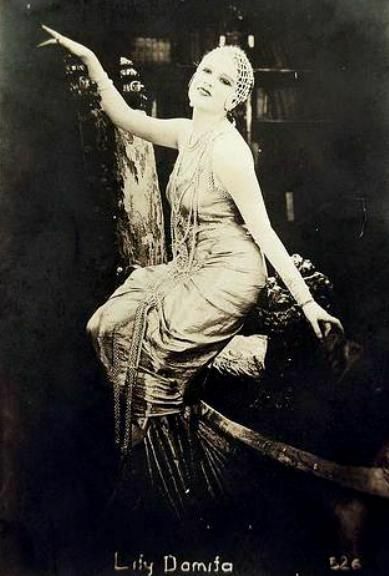 Lili Damita pic from www.fanpix.net.